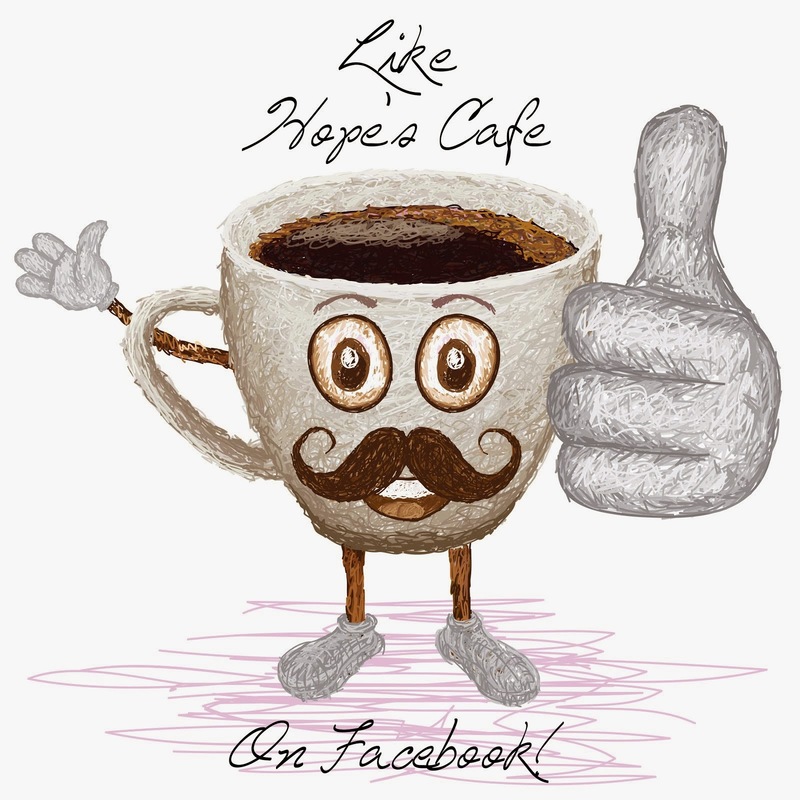 I have heard that internet shopping is expected to go up about 15% this holiday season, and I really believe it. Who wouldn't prefer to shop in the comfort of their own home, without having to deal with check-out lines, rude shoppers (we've all had the misfortune of running into them) or the typical Black Friday store hours? Are you sold on internet shopping yet?! There are so many places to shop, but a few weeks ago I was introduced to what I honestly think is one of the neatest online stores I've ever seen. 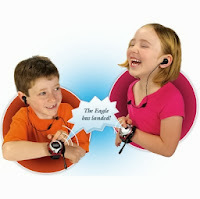 MuseumTour.com is THE place to go to find the perfect gift for any child this holiday season! 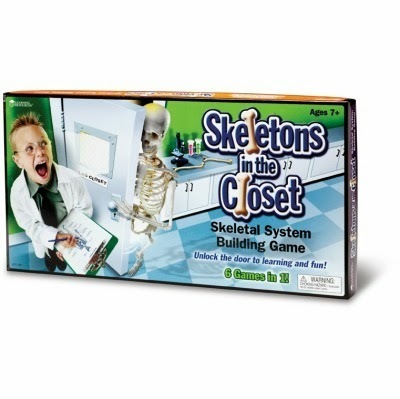 Check it out; what child wouldn't love a skeleton game, tin can robot, or watch walkie-talkies? These are just 3 of the amazing gift ideas from MuseumTour.com! www.MuseumTour.com allows you to shop by category (air and space, history, chemistry, technology, and sports just to name a few) or by age/grade. No matter what your child's interest, I am sure you will find a great variety of gifts to fit their taste. I was able to choose a couple items for review from MuseumTour.com, and I had a hard time deciding-they all looked like so much fun! I really love that the toys and games are educational too; children will enjoy learning with this type of gift! I received the Ultimate Volcano Science Kit and Aquarellum Jr. Parrots Paint Set for my review. 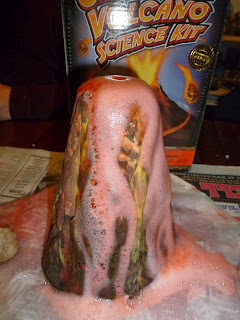 The Volcano Science Kit made for a fun project on family night. 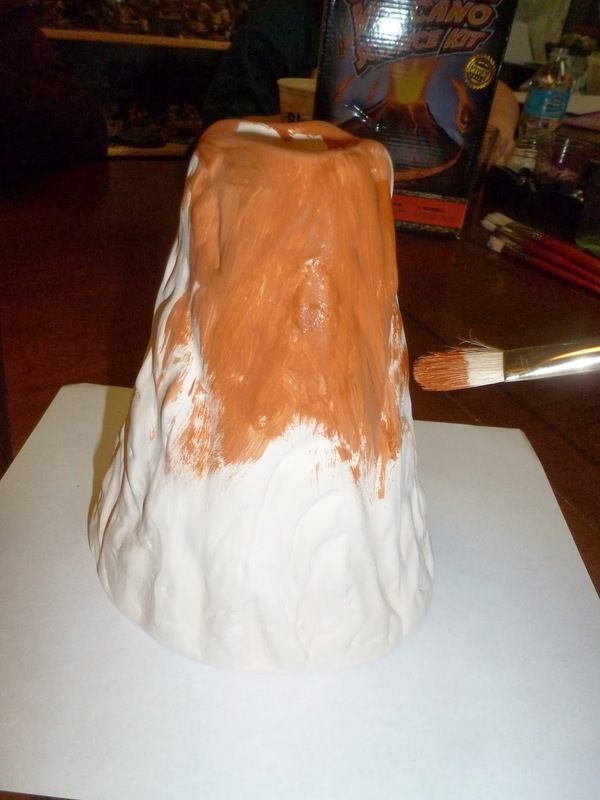 The first step is to paint the volcano-which I thought was really neat. This allows young children to get artistic, and was a feature that the family thoroughly enjoyed. Personally I think we turned out a very realistic-looking volcano! As you can imagine, we had fun erupting it over and over. The Aquarellum Jr. Parrots Paint Set I received from MuseumTour.com is planned as a gift for one of the children. 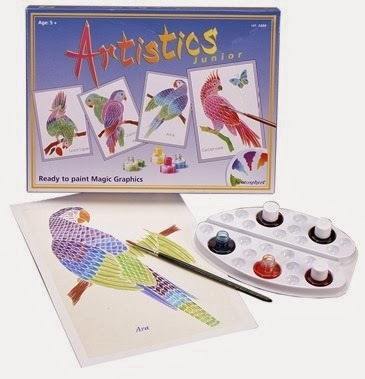 This is perfect for her, because she loves birds, and is very artistic. 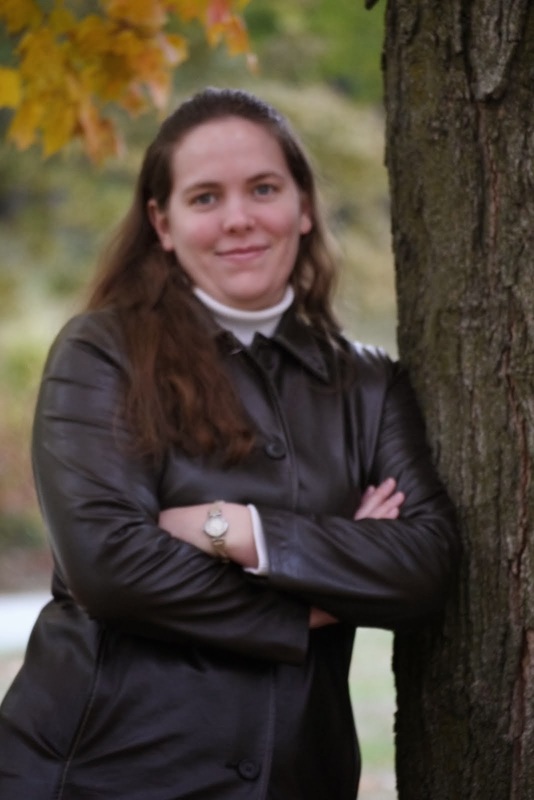 In fact, she can draw, paint, and do just about anything that requires some artistic talent, much better than I can! So, this will be a great holiday gift for her. This set comes with 4 ready-to-paint canvases, paintbrush, paint, palette, pipette, and color guide. I seriously recommend you visit MuseumTour.com and check out all the amazing gift ideas they have. No matter what age, or your child's interests, you will find some really great products. I was impressed by the museum partners they have; St. Louis Science Center, Virginia Air and Space Center, Children's Museum of Indianapolis and California Science Center are just a few of the institutions that partner with MuseumTour.com to bring the best games and toys to you! 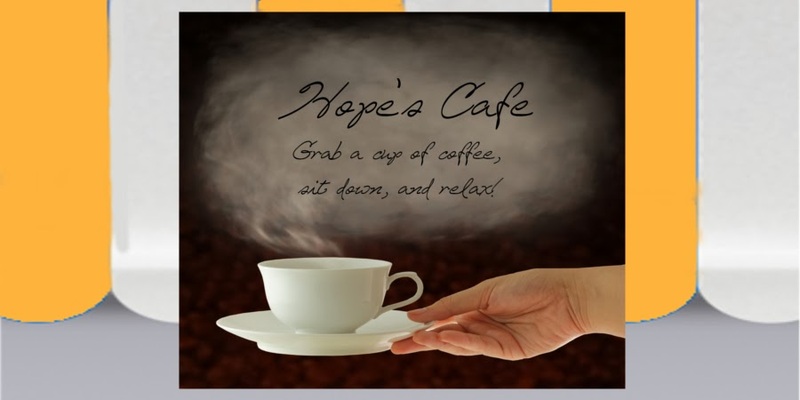 One of our readers will receive a $30.00 Museum Tour Gift Code!! I like the Crystal Flowers! I like Find It: Original. The You've been Sentenced word game! 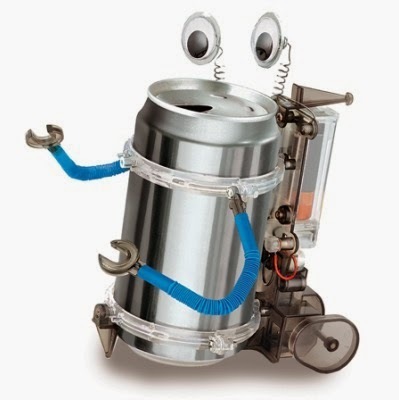 I like the GOOBI 202 Piece!